Thank you to @synthdactylprogram for curating the evening and to @thewrongholly and @jstorymusic for their inspiring sets. The small Prodigy is my favorite Moog Synth. I love The Prodigy more as my Minimoog. The sync sounds are the best of the world in my opinion." A special video for reaching 98 (almost 100) song covers. 98, like Windows 98. There is a new "band member" which comes from the times of Windows 98... Do you still remember those noisy devices? Queen - Bohemian Rhapsody cover by The Floppotron, computer hardware orchestra. Which song would you like to hear next?" This one in via Soviet Space Child. Check out the mechanical label below for more. Tracked, Mixed, and Mastered in Cubase 10. Tape loop of ambient FM bell synth melody played back at half speed (and thus octave down)"
this modular patch is inspired by a walk along the coast. 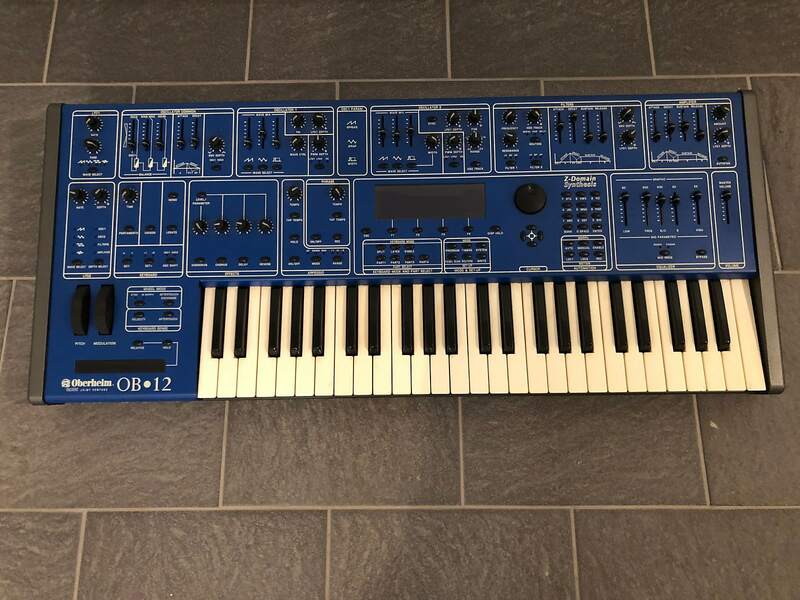 4: TIDES Frequency (for tremolo effect"
"Vintage Oberheim TVS-1A Two-Voice Analog Synthesizer in 100% Working Condition. Very well cared for with all original knobs with caps, all LEDs working, no sticky or dead keys, no dirty pots, no hum or crackling. There is one issue with the high "B" key being a bit higher than the row (please see pic). It does not affect function or playability. This TVS-1A will be meticulously packed with only new bubble-wrap in the first new box. Then, more new bubble-wrap inside the second new box. A 37"x30"x18" double-walled box weighing in at 51 lbs. 4 oz. Includes two power cables, copy of the manual and schematics. Capable of deep analog saturation without losing clarity. 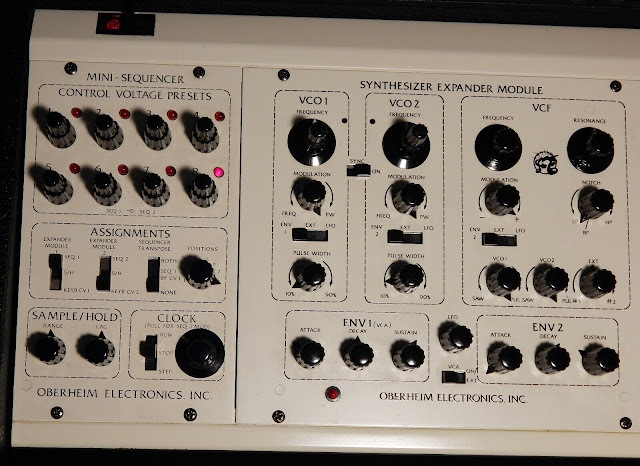 The incredible sound one expects from vintage Oberheim SEM modules. 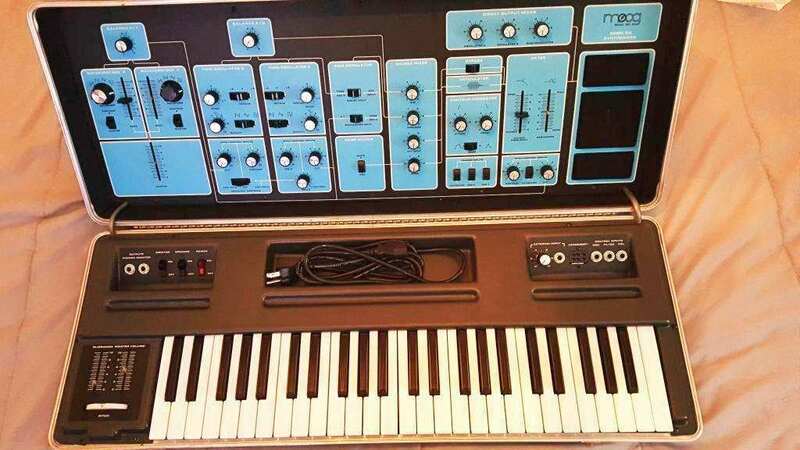 In 1975, Oberheim created their first compact, programmable and polyphonic synthesizer by coupling two SEM modules to a 37-note keyboard and a simple analog sequencer. This was what became the Two Voice. 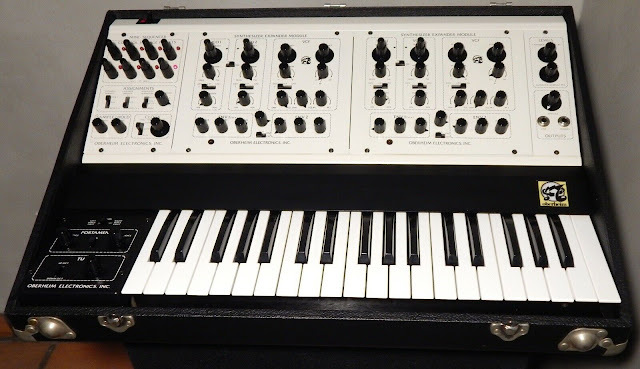 Oberheim achieved a polyphonic sound not yet seen at the time by hard-wiring the two monophonic SEMs into the compact keyboard design. In 1976 Oberheim came out with another module, the Polyphonic Synthesizer Programmer. This could memorize the control voltages of many parameters for up to eight SEM modules. 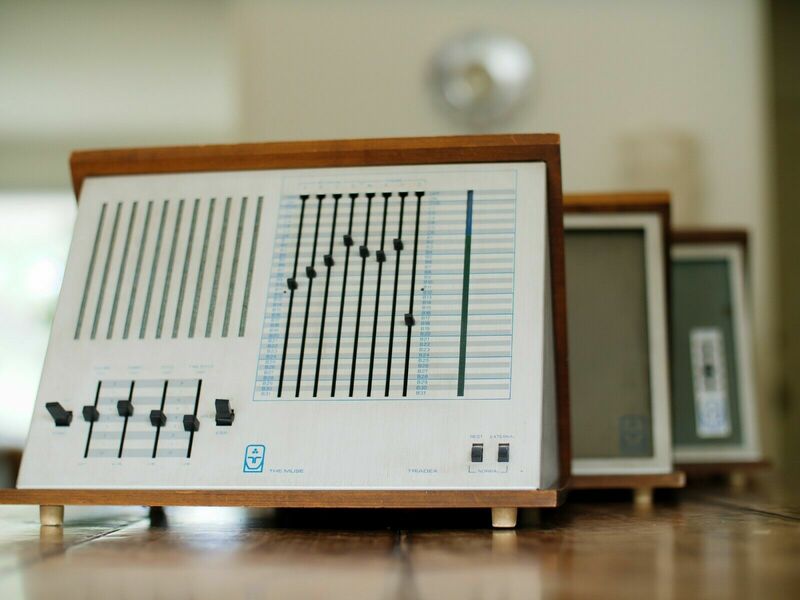 When these were added to the Two Voice in the form of the Mini-Sequencer, Oberheim finally had one of the earliest programmable and polyphonic instruments. Each voice has its own filter. The filter is unique and like no other, and apparently cannot be reproduced even by its own creator. The 8-step analog sequencer controls each voice/module independently allowing two independent sequences to be run simultaneously if desired." I am the original owner of this Muse model -1. 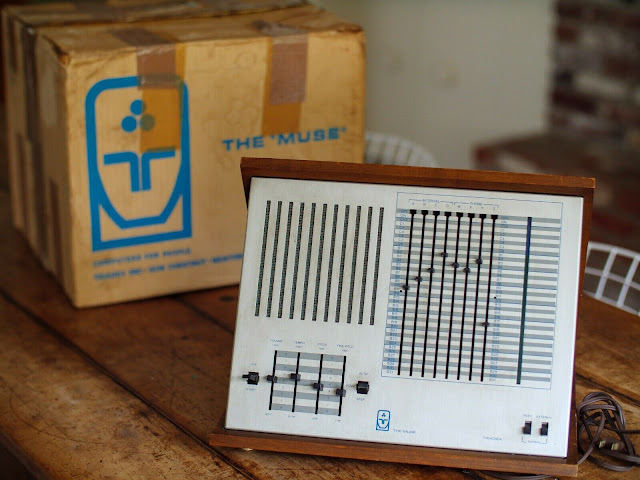 My Dad worked with Ed Fredkin on the rollout of The Muse back in the early 70's. When he brought a set home I made sure it lived in my room - as one of 4 kids that wasn't easy. The other two components, the light show and the external amp are now in the collection of the Computer History Museum in Mountain View. If you haven't been there definitely go -it's an amazing place. The last picture is of the CHM music exhibit, the day we dropped off the other components. I've had the Muse all these years and now feel it's time to share it with another music/tech lover. Included in the sale is the original box, packing styrofoam and 20 page booklet, 'How to make Muse music.' The Muse is in perfect working order. The only defect is the Step Key sits off-centered, but it functions correctly." 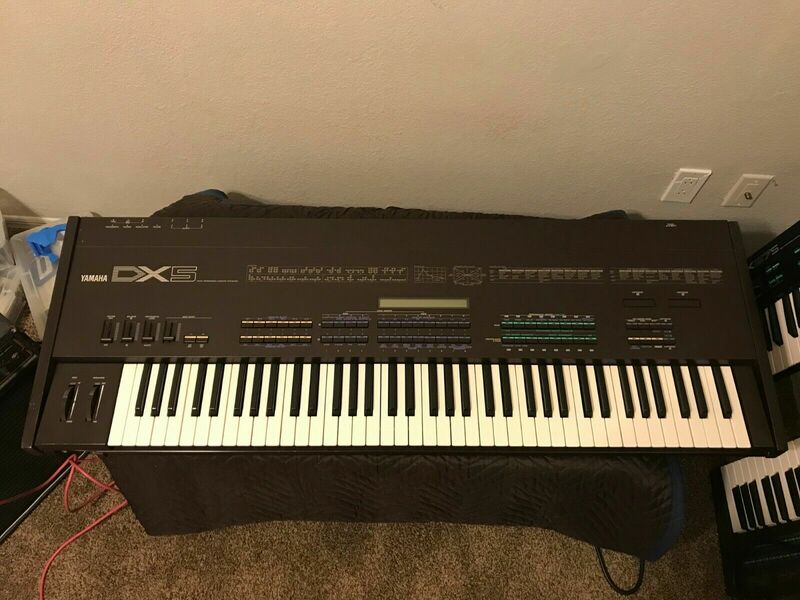 "The Yamaha DX5 was a derivative of the DX1, introduced in 1985 with a list price of US$3,495. 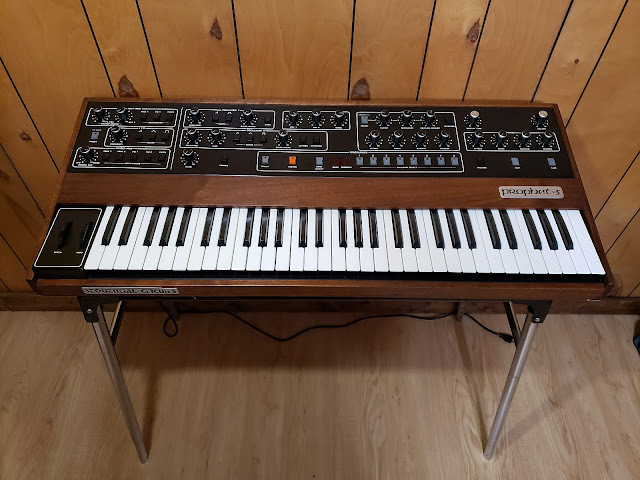 It has the same synth engine, but lacked the DX1's fully weighted keys, polyphonic aftertouch, aesthetics (rosewood case and wooden keyboard) and user interface features (parameter displays). 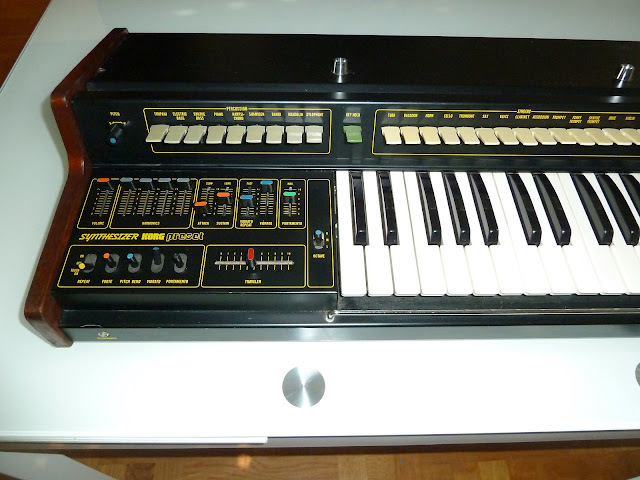 It included 76 keys with channel aftertouch and slightly improved MIDI features. Programming instruments on the DX1 is a little easier than on a DX5 because of extensive parameter displays, but both have an advantage against a DX7, because they have dedicated buttons for some programming tasks and bigger display, so programming is not so tedious as on a DX7." "Features 8 voices with 3 DCO's per voice. It also has 8 stereo outputs - one per voice! Very powerful, big, lush sounding synth. There are currently no new models being sold, so the only way to get one is second hand!" 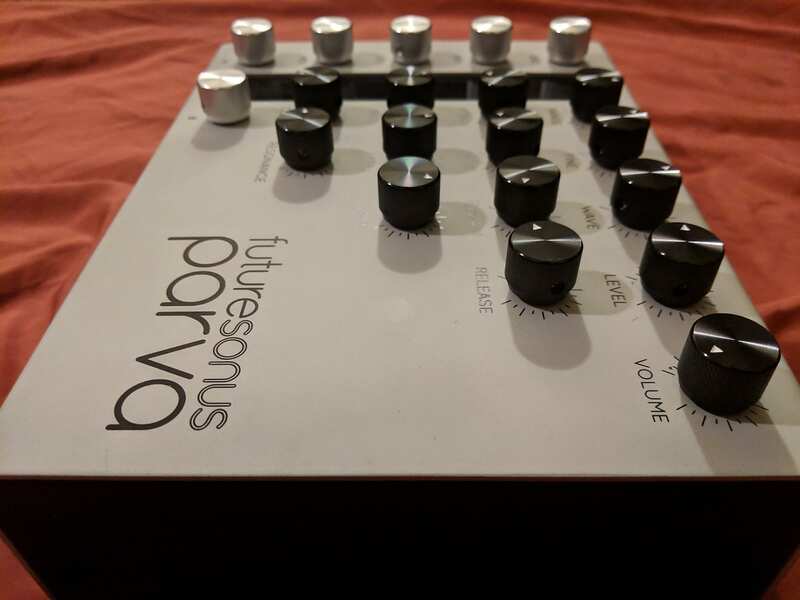 Per Futuresonus: "Parva orders are temporarily suspended while we focus on new development"
"Very beautiful vocoder with an extremely unique sound. You've really never heard anything quite like this -- unless, of course, you've listened to Pink Floyd's Animals [apparently so], or any other number of acclaimed records on which it was utilized as a secret sauce of pure vibes. This guy plays great but has certainly seen somewhat better days. Everything works just fine, except one key (lowest) -- which I imagine could be easily repaired, though I just never bothered. The pots are a bit scratchy but other than that it's just the same eerie vibe-machine monster that a VC-10 ought to be." via Wikipedia: "(used in Animals) 'Floyd first used a Vocoder in Animals (recording during 1976) for Roger’s lead vocals in 'Pigs' and for the bastardised psalm on 'Sheep', as well as for the treated barking sounds and other effects in “Dogs”. Rick’s keyboards were also fed through the Vocoder, notably during the middle section of “Dogs”. 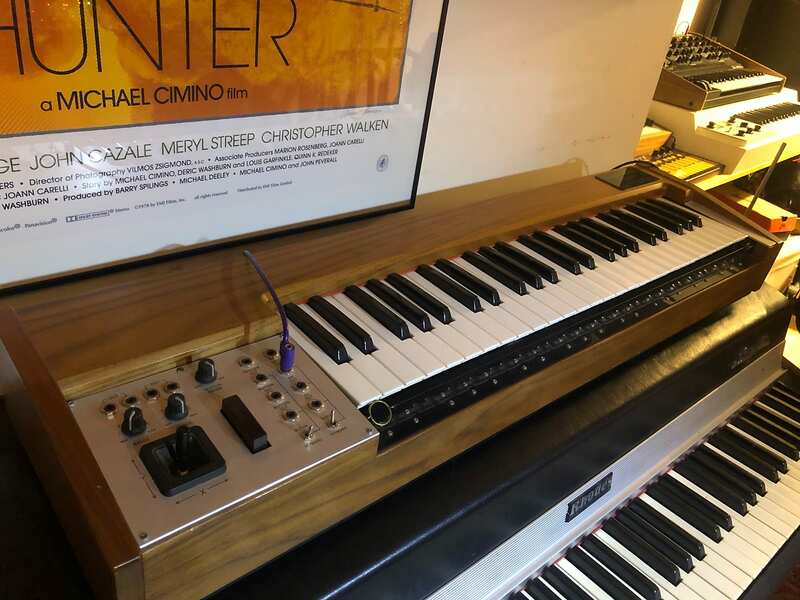 Although it is not documented which particular model was used in Britannia Row studios for the recording of Animals, it is reported that they used the 'now-classic Korg VC-10 model'"
It does appear to shoot lasers out of its keys. Be careful! "It’s been a long wait but now we have completed the beta testing of our fourth prototype iteration and we have finally started our first small commercial batch production. Hooray! Last but not least, we compiled a small set of demo tracks to showcase some of the sounds Vector can do. 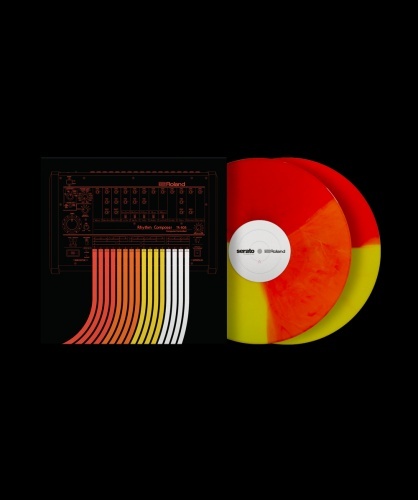 These are of course not exhaustive, but give a decent insight into what sort of sonic palette one can expect from Vector." "Oh boy, a new module in the Geodesics collection, what a treat! Entropia, Thermodynamic Microstate Sequencer, is an amazing tool for adding this special seasoning to a sequence. 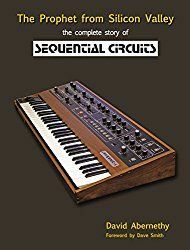 It's built out of two 8-step sequences, that together create one unique sequence with the possibility to combine control voltage with audio, and even add to your favorite sequencer some random surprises. In this video, I go through all the different features of Entropia, starting with a quick overview of the module, and building a patch, from scratch, utilizing all of its unique features." "live synthesizer improvisation inspired by large bird swarms coming back for spring. Novation Peak, Mutable elements, Plaits, Makenoise Morphagene, Arturia Keystep, Beatstep Pro"
"Uh oh ... I was told to show my face more often, so I'm trying this VLOG thing now! This is a VLOG about the 'Best of CGS' Serge modular synthesizer system and the experiences I've had with it, in my first one year of ownership. 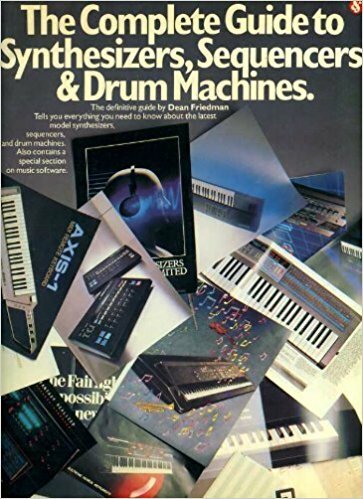 Lots of sergy links below :)"
via Retro Synth Ads where you'll find rest of the scans and the full write-up. 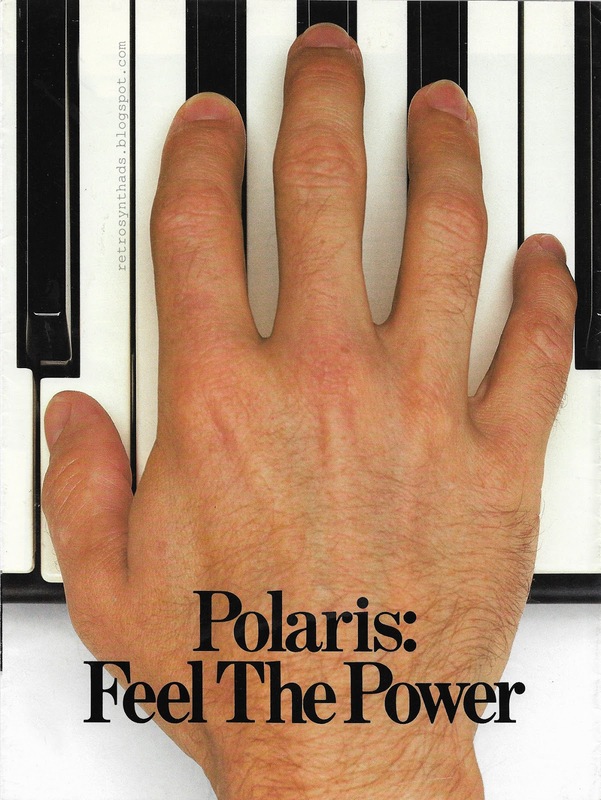 "Rhodes Chroma Polaris 'Polaris: Feel The Power' eight page barn-door fold colour brochure from 1984." 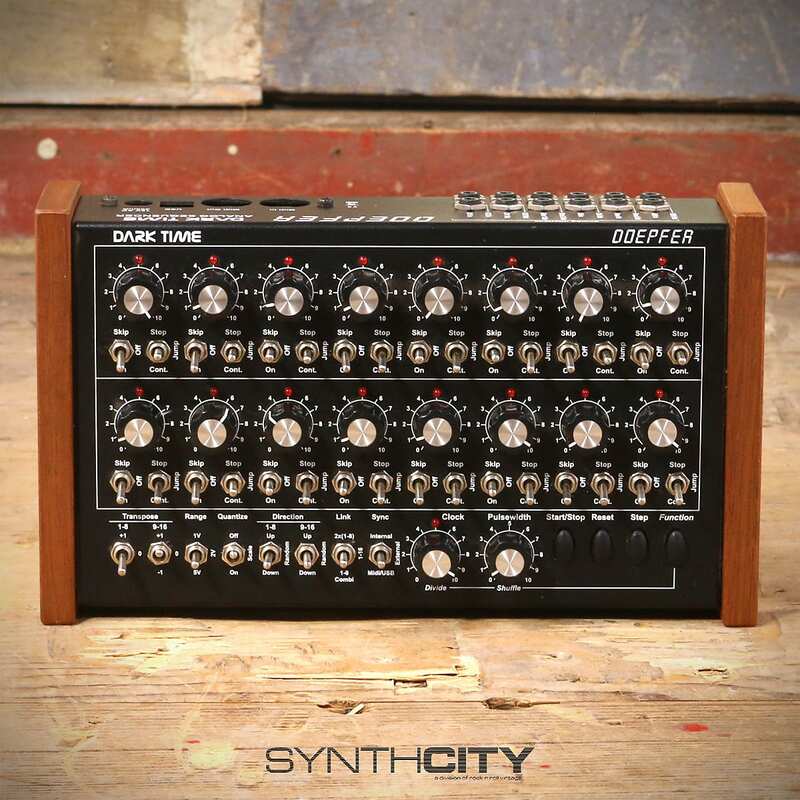 "The Dark Time is a dual 8 step CV and trigger sequencer for use with any synths that accept analog control inputs. 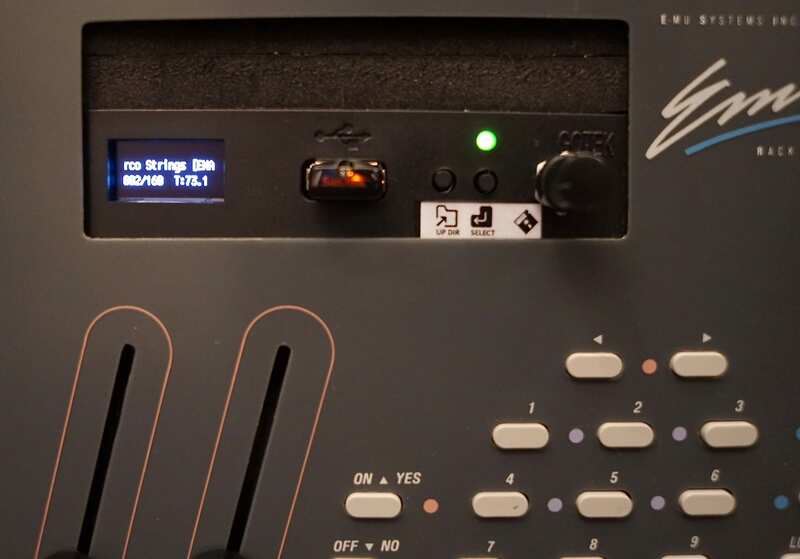 There is also MIDI and USB allowing this to connect with essentially any hardware you want." The stereo mixer section now has CV inputs. They act to in a stereo manner: a signal going up on "verso" makes the right side louder and the left side quieter, and the opposite for "inverso". Avdogs are now stereo: each one undulates in the left channel and the right channel, back and forth. The snare drum is now much louder"
"French Connection cv/gate controller. Famously used by Radiohead. Shows a few signs of use (a very slight portion of the plastic around the thread is a bit torn as shown on the picture) but works perfectly. Fire sale : a unique chance to get it at the lowest price ever on the web." Video edited on iPad with LumaFusion by Luma Touch"
"All sounds and EFX Arturia MatrixBrute." "Hi it's a series of videos covering the various functions of the Teenage Engineering OP-Z." Since our latest news, small changes have occurred in our startup (Which was called Nave Electronics). We had to rename our project. But do not worry, we are full of energy and continue to work! More details in this video." Infradeep, formerly Nave. Looks like they pulled their Polymorph promo videos. Hate it when that happens as a little bit of synth history gets lost. P.S. 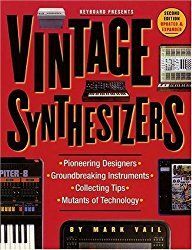 One of the reasons I do not pull posts when videos are pulled is because they are a reference point in synth history. "We snagged the new Elektron Model:Samples and decided to beef it up using the Boredbrain Transmutron's FX loops patched out through a slew of eurorack processing. A simple pattern was programmed and, alongside many CV modulations, some real-time tweaking created a fun dynamic jam. - The Transmutron's two Euro FX returns are used to receive mixed stereo cacophony of parallel effects (and synth line) to convert back to line-level for recording, after first passing through the Boss Roland RE-20 Space Echo. - The low frequencies are processed in parallel with the Recovery Effects Motormatic and the 2HP Comb Filter, the latter has its resonance modulated by one channel of the Make Noise Maths, triggered every 7 gates of the synth line, counted by the Adventure Audio Count module. 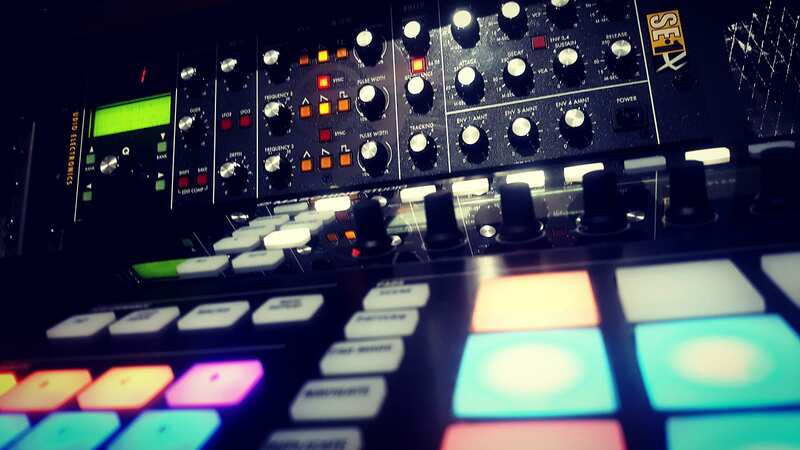 - Model:Samples Track 6 is sequencing the Mother-32 to create the synth line, which is octave doubled by the Noise Reap Bermuda oscillator, then run through the Recovery Effects Cutting Room Floor"
"Analogue Solutions synths: controlled by Generator & Oberkorn sequencers. No MIDI! Live transposition using the Touch pads." "Doepfer Dark Energy MK3 analog Synthesizer celebrates this year his 10th anniversary and this is a good reason to check out the latest version of it! Performance by Heen-Wah Wai on Songmaker Kit. Raise the roof with Elemental EDM, a collection of high-energy Cypher2 presets designed for the dance floor! Whether you prefer dirty dubstep breakdowns or sun-kissed tropical house, this expander has all the tools you need to take on the biggest festival-filling sounds. All presets in this pack are available in both standard and 5D versions, for conventional and MPE MIDI controllers respectively. 5D versions are optimised for the ROLI Seaboard RISE and Seaboard Block. Elemental EDM is compatible with Cypher2 Player, the version of Cypher2 bundled with ROLI instruments. So if you’re a Seaboard or BLOCKS creator, you can explore the sounds on desktop even without the full Cypher2 synth." ・Version 2 is now the largest gadget instrument collection to date. ・New design with a new color scheme. Intuitive user interface. ・Basic performance expanded. Tempo change and fade in/fade out supported. 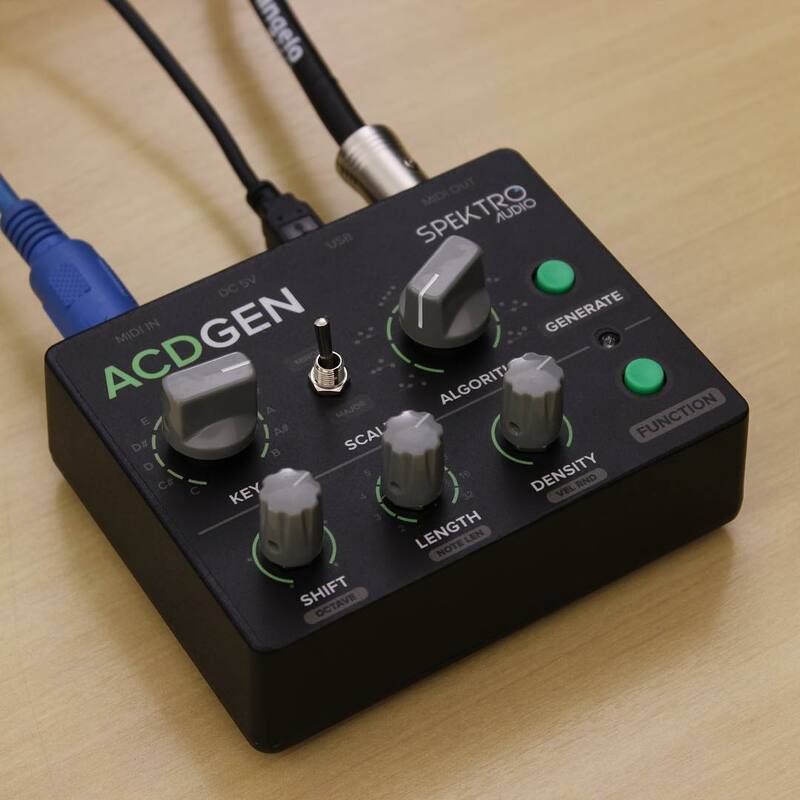 ・The newly added Taipei gadget allows you to connect to various MIDI devices. ・Four new IFX have been added, including feedback reverb, exciter, enhancer and saturator. * Project files made with KORG Gadget 2 are not compatible with KORG Gadget 1, so please be careful. 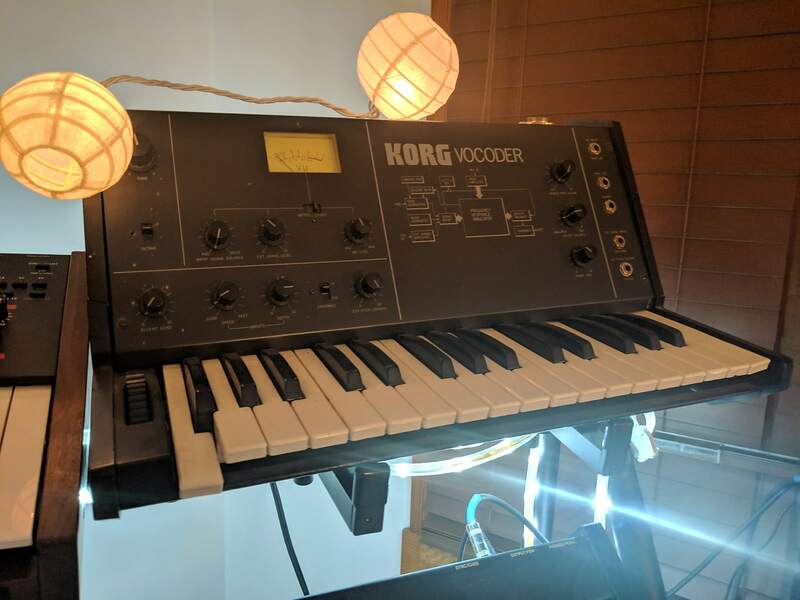 "Korg's release of Gadget 2 arrived just as I was finishing two videos for tracks made with the original Gadget, once again foiling my attempts to create timely, topical content for ye olde interwebs. This track started as an experiment to see how many Dublin synth Gadgets my primordial iPad 3 could play before running out of steam. The answer was 8. I added 6 more Dublin tracks on my 2015 iPod Touch, which actually didn't max out at the 14 Dublins, but I thought the tune seemed "finished" at 14." "Korg Gadget 2 is released & today I jump it my most craved feature, midi out. Taipei sends midi, sequencing and CC to anything with a midi channel. This opens huge doors for the Korg gadget realm. This video features a Korg Volca Bass, Microkorg & give my overall first impression of the new midi out feature ( Taipei )"
Black version of The River by Baloran. The sound diffusor coupler kit can be ordered at www.jasacoustics.com and also on Reverb.com"
Check out more of Sean Christopher's synth videos here on MATRIXSYNTH. 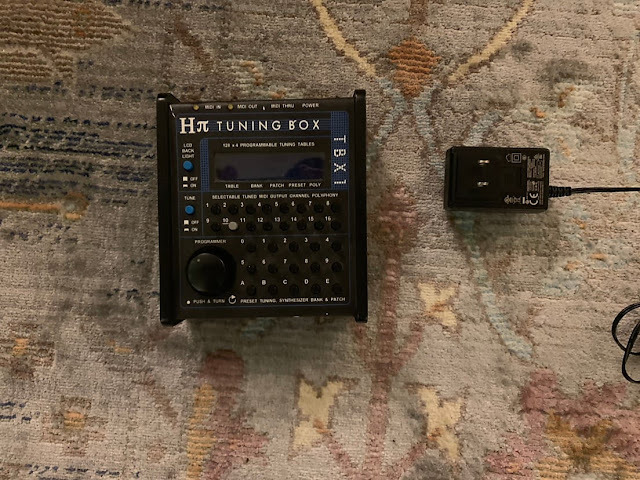 "Making some music on the Tokarev Protosynth V1LP with extended control, along with the new synth (on the right) I've been working on for some days. MIDI notes + kick/tom provided from FL Studio, along with some VST fx processing the hardware synths outputs." "maybe I know .... hmmmmm"
"Waldorf Blofeld takes the lead with this THX inspired sound carpet. Add in Vermona `14, Microbrute, and stereo Monotribes"
"A minimalistic ambient piece using only three synthesizer sounds. Oberheim Matrix 1000, Moog Sub 37 and an Eurorack patch with Mutable Instruments Plaits and Braids. 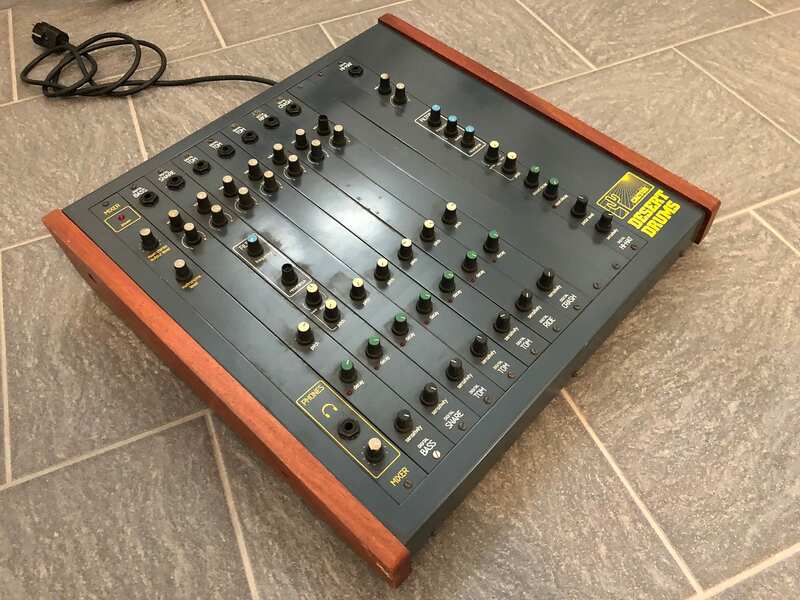 Analog Four was used as a mixer and CV controller to play ONE note (poor A4!)." "A walkthrough of my recreation of Stevie Wonder's "Village Ghetto Land" GX-1 string ensemble on the Deckard's Dream synth, with plenty of audio examples. The Deckard goes beyond what the CS-80 can do, for example by offering PWM LFO sync across all voices and layers, which very few synths actually offer, and which adds a vibrant airy ensemble-type feel. Also the Deckard lets you reverse the polarity of the high-pass filter envelopes, which was also a feature of the GX-1 (so that either the HP filter opens/closes together with the LP, or goes the opposite way)." The C105 VC Noise / Lo-Fi Machine MKII is a voltage controlled analog sample rate reducer and a VC Noise generator. This new MKII version expands the modules possibilities with new features that allows this module to be used in other ways not possible with the previous version. 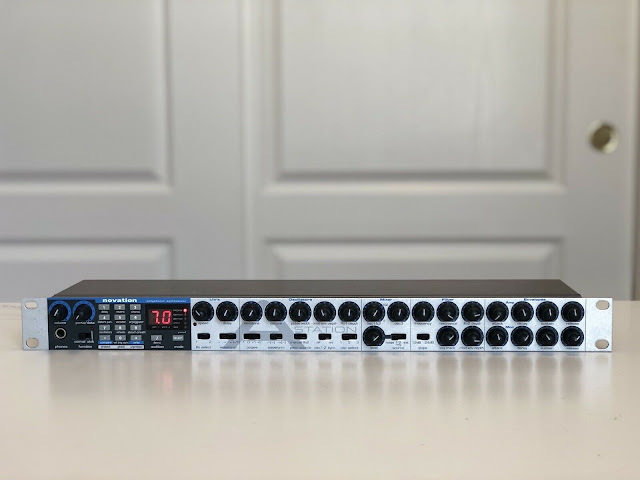 Now the C105 MKII can be used like a traditional sample and hold , a voltage controlled clock generator , a random gate / trigger generator or a 12 db VC High pass filter and even as a square wave VCO." "Earlier this year the Modular Podcast crew had the chance to visit Patch Point based in the Neukölln district of Berlin. Patch Point is a store, community hub and synth DIY centre ran by Dr. Darrin Weiner. 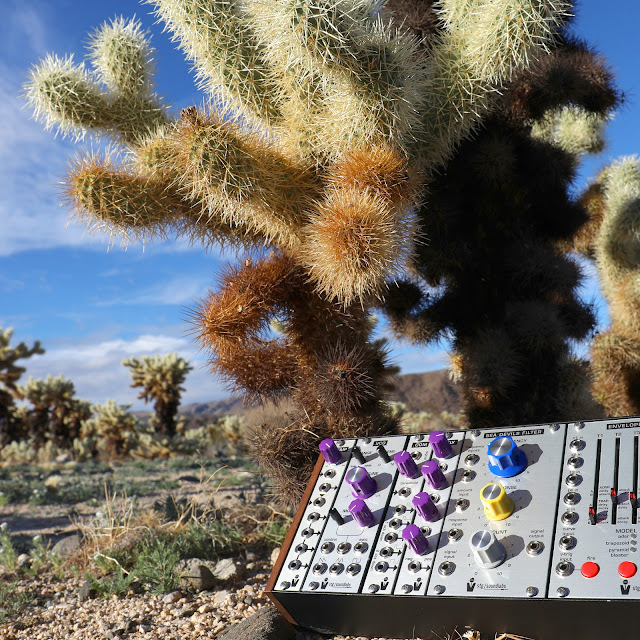 Patch Point is the only place outside of Peter Blasser himself (the creator) to build Ciat Lonbarde equipment and they also stock various Serge panels, Bug Brand and Eurorack gear. With a heavy leaning to the rare, banana format and other more unique pieces of gear it's no doubt one of the only places in the world to try out, build and get hold of some of this equipment. A total Aladdin's cave of synth gear and a wealth of knowledge and experience with Darrin in driving seat, be sure to get to Patch Point if you happen to be in Berlin anytime." 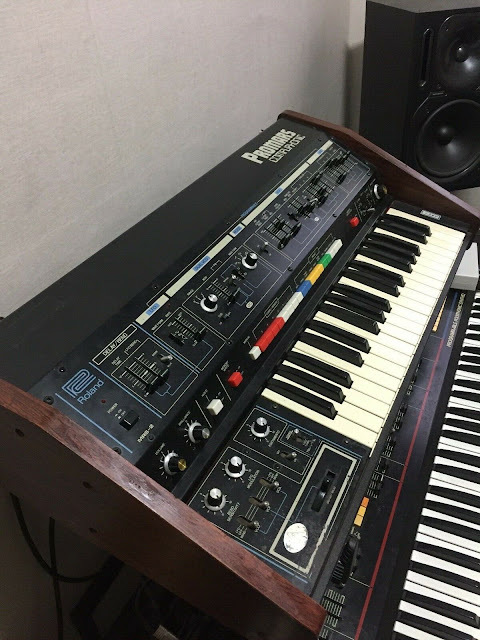 "In this episode of Synth Quest we take a look at the Korg Poly-800. This video is the most in-depth, high-quality demo of the Korg Poly-800 on the internet, I hope you enjoy it! 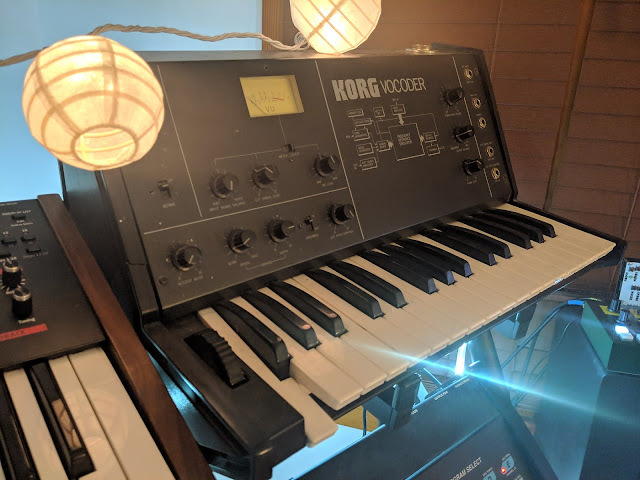 I rescue and repair unwanted synths and drum machines and put them back into service, making music as they were intended. In this video series I present some of the history and sounds of the various synths and drum machines here in my studio. If you have any unwanted synths and drum machines that you would like to contribute to Synth Quest, you can email me at madfame@madfame.com"
"Using two Radiophonic One systems to make a nice thick sequence. Two .VCOs tuned a fifth apart with Drift Generator rate set in the slow range, and just a little bit of their modulation added, into a .MIX with the sawtooth of both and a touch of the suboctave square of the fundamental mixed in, into the Sea Devils Filter modulated by pitch CV and a 23 second period linear trapezoid modulation from one Envelope Generator controlling the amount of the other Envelope Generator. The main Envelope Generator is used for a basic triggered pluck with the curve control set about 70 percent of the way towards Logarithmic from Linear. Effects are a Lexicon Alex hall reverb and a TC D-Two basic delay. As the video progresses I tweak the drift generator amounts and the amount of filter modulation from the VCAed pluck control." 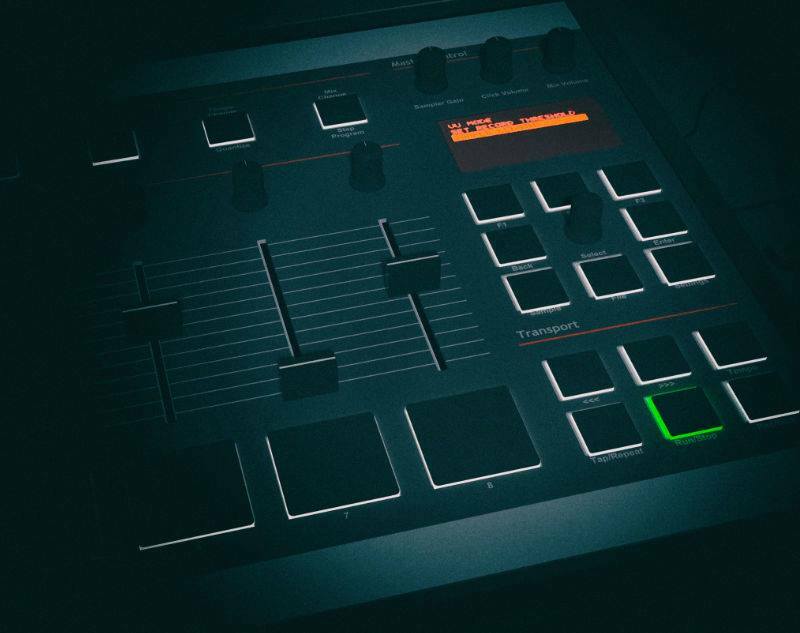 "Lovin' the atmosphere you can create with the Elektron M:S.
Some new patterns I created and jammed with. Extra FX from Turnado and compressor/signal boost from FAC Maxima on the iPad." Spotted this one on the excellent discchord. 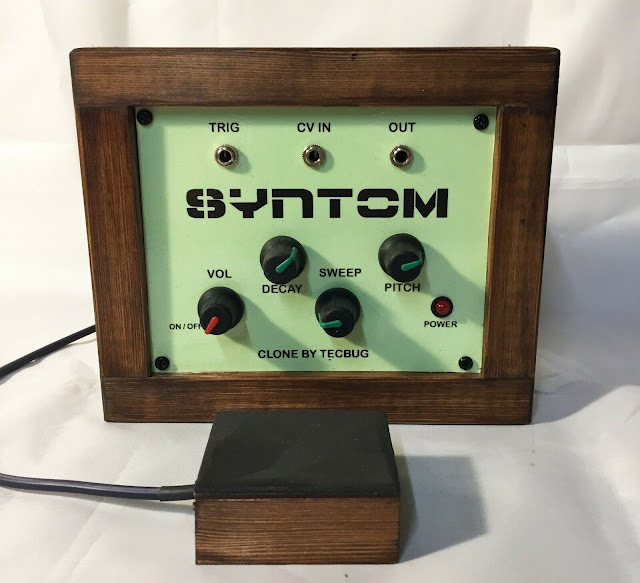 "This box can implement microtuning capabilities to most midi synths that respond to pitch bend cc’s. It works best with multitimbral synths or those that have Mode 4 (guitar mode, mks50, esq-m) for polyphonic use but can work for monophonic synths too. It has over 400 tunings included but you can upload your own from a computer. I highly recommend getting HPI’s Custom Scale Editor software if you pick this up as its easier and more intuitive than Scala for creating your own scales. Comes with original power supply. 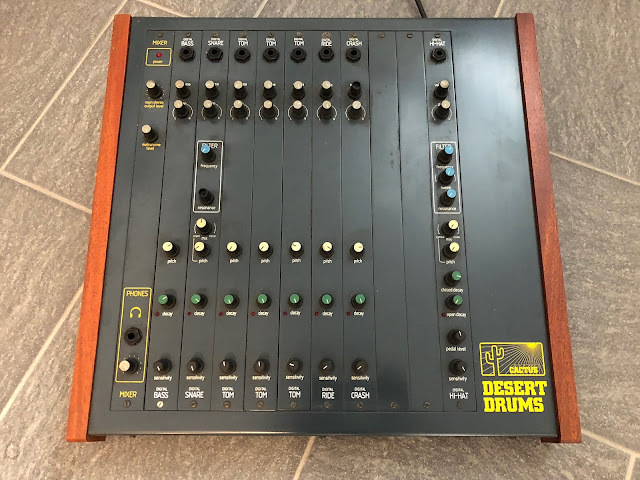 "This sampler sounds incredible and is in really great condition. Being 12-bit with 8 analog SSM filters is pretty ridiculous. It really makes anything you sample sound amazing. Basically the same engine as the SP1200. The Emu Emax SE is a 3U rack, 8 voice, multitimbral, velocity and pressure sensitive, 12 bit sampler with 8 individual outputs, featuring a programmable analog low pass filter, LFO, dedicated filter and amp AHDSR envelopes, arpeggiator, real-time 16 track sequencer, chorus, RS-422, and MIDI. 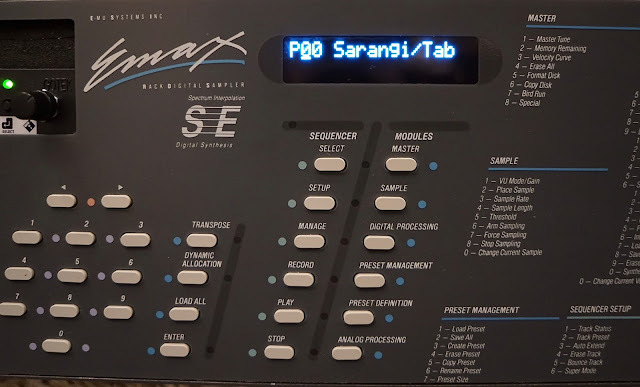 Samples are recorded at 10-42kHz (512kB memory). Sample editing includes loop, mix, reverse, splice, taper, truncate, multiply, and sample rate/pitch conversion. Waveform can be saved/loaded via a 3.5″ DSDD drive or USB floppy emulator. Additive synthesis features 24 harmonics (shape can be drawn) in 24 a wave sequence (max) with dedicated time slice pitch and amplitude EGs." 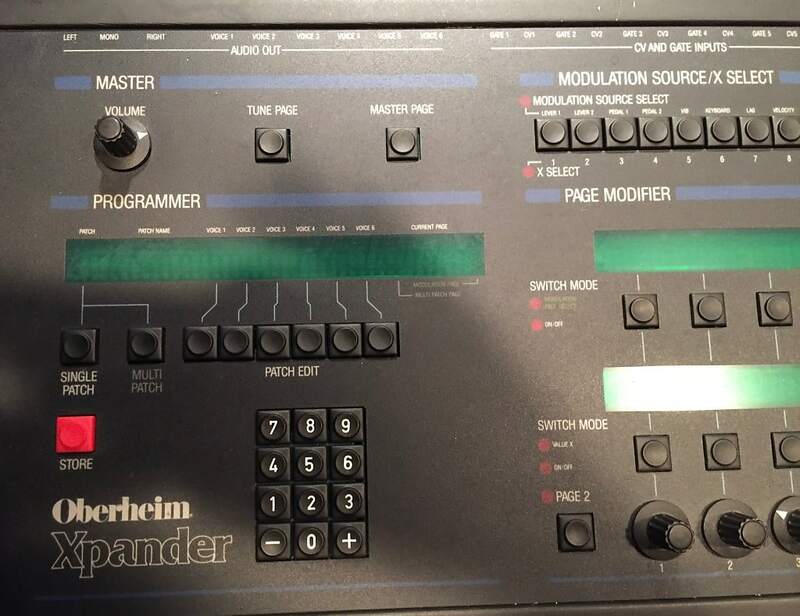 "The Oberheim Xpander is a six-voice desktop version of the Oberheim Matrix 12 with which it shares an identical voice architecture. In many ways they are the most flexible non-modular analog synths ever built." "It comes with the original box, manual, sticker, Bastl wrapping paper, and patch cables." Has an input for an external signal for keyboard modulation. 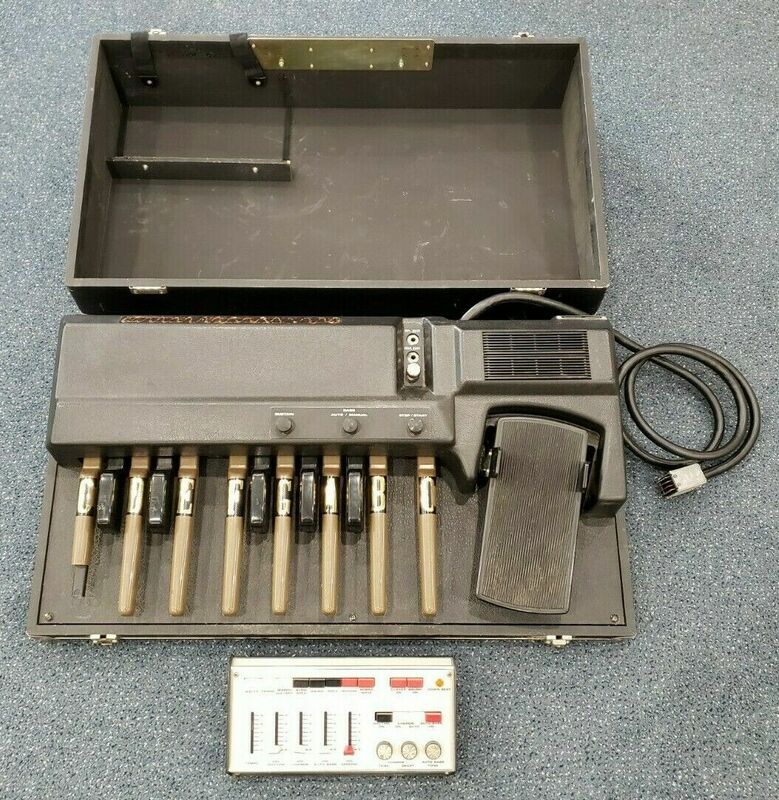 Has original gooseneck KORG MC-01 microphone and connector." Pedals4Synths - Digitech Polara reverberation on a Moog Grandmother Synthesizer. "Clocks and filters. Who needs anything else? This patch is built around a core of QPAS and TEMPI, with no traditional audio source." "A kick and bass loop from the Ants! synth goinfg to the Spice saturator. With NUTUBEX2 and FUZZ circuits." 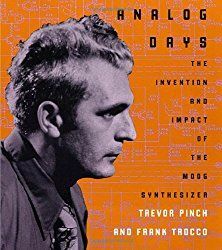 "The 3 eurorack modules processing a drum loop"
"Patrick shows how to use the built in arpeggiator of the Behringer Crave analog synthesizer." "With this Swept Pad, I use a number of techniques with the LFO's and Mod Matrix, as well as layering it up, but the main purpose is to show you how to use the Aux Envelope to modulate the FX." 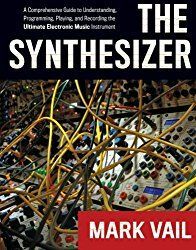 "So, I get asked the same sort of question over and over, which is 'This Synth vs That Synth vs That one'. Now I decided to a Sound designers Review of 10 Synths that I have made Banks of Patches for and come up with 5 areas to go over and to to give them a score out of 20, for a final total. Novation PEAK gets - 78/100"
Making a Paper Cup Microphone. Less than $10! "Yes--it's true! You can make a microphone out of a paper cup, some magnets and some wire. It's definitely not going to replace any of my (or your) studio mics, but it's a fun lo-fi DIY project. Did I mention it was less than $10? Have you built any microphones of your own? Do you have an experience repairing mics? Please share your wisdom and leave comments on how one might improve on this very basic (and hack-y) design!" 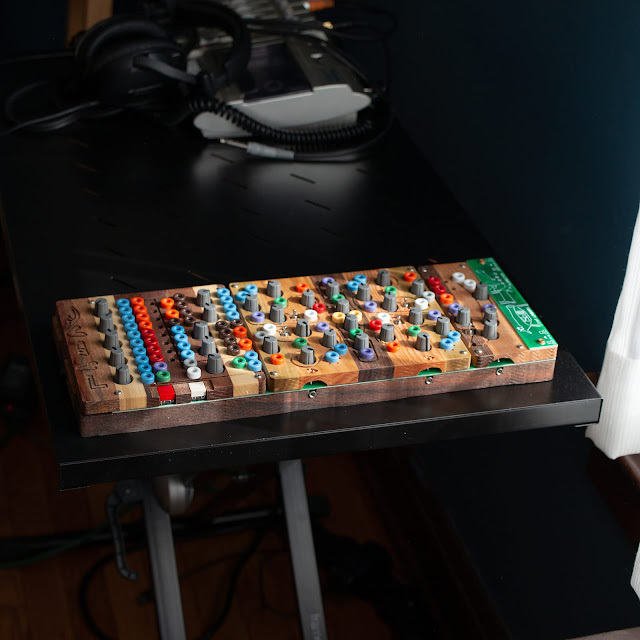 With the BEMI Buchla Music Easel. "We cover The Cranberries’song 'Never Grow Old' to celebrate Dolors O’Riordan. “Don’t let anyone limit your dreams. "Vintage exotica with some electric boss nova! Bossa nova bass pattern and extended chords study based on Poinciana. Original music by Nat Simon. 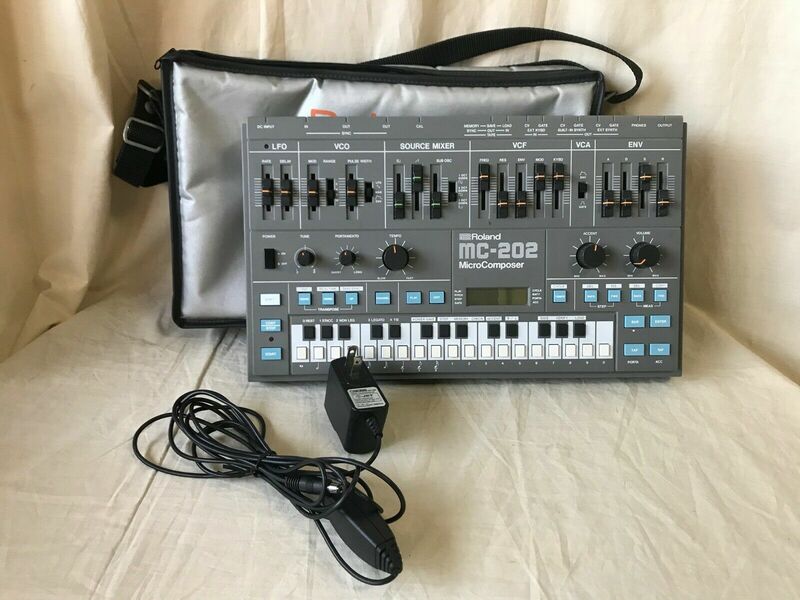 Keyboard patch is the Yamaha CP80 electric grand and a vintage Korg Rhythm 33 is laying down a sizzling electronic bossa nova groove." "Autumn Leaves. Original music by Joseph Kosma. Performed on piano and Roland monosynth (hence 'Switched-on', after Wendy Carlos). Playing chords and tune, then solo. First studied October 2017." 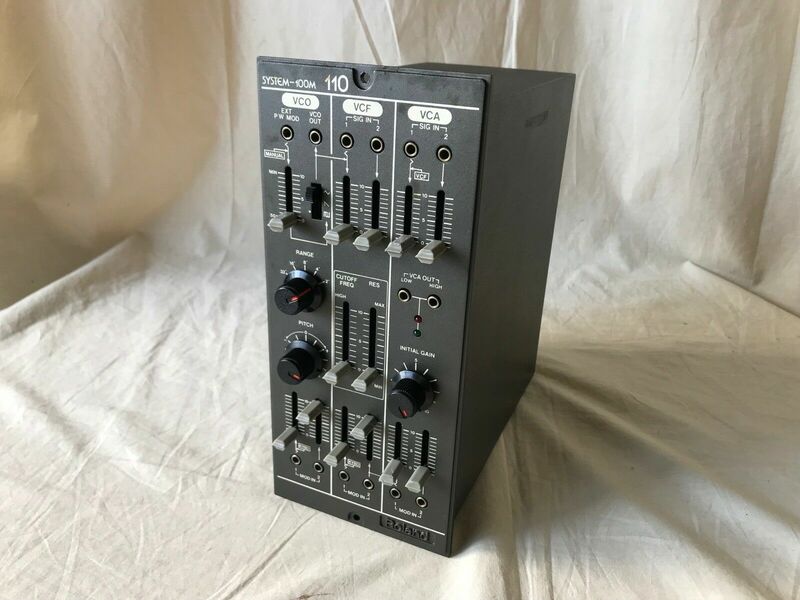 "Studio Electronics ATC-Xi - Quad Filter System - Discrete Analog Monophonic Synthesizer --- In excellent condition! 100% functional! Looks excellent! This is a beast. A bass and lead monster. All four filters present: Moog 24db Lowpass, Oberheim 12db lowpass and bandpass, 303 Lowpass and ARP lowpass. Oscillator 1 has a sine waveform instead of the usual triangle waveform. Switchable VCAs from ATC-X's Moog Source transistor array style or the classic SE-1X fully discrete Minimoog style amplifier from front switch. Built in analog distortion." "Details on how to upgrade the Primova Sound MIDX-20 to install the MIDI Bridge for the Boss GT-1 and Boss GP-10. These steps will also work for the Fender Mustang V2 and others." Demo with the KORG Odyssey at 2:33. "How to make a helicopter or engine sound effect using a basic analog synthesizer. Use white or pink noise with filter modulation. Add in low frequency VCO drone for added effect. 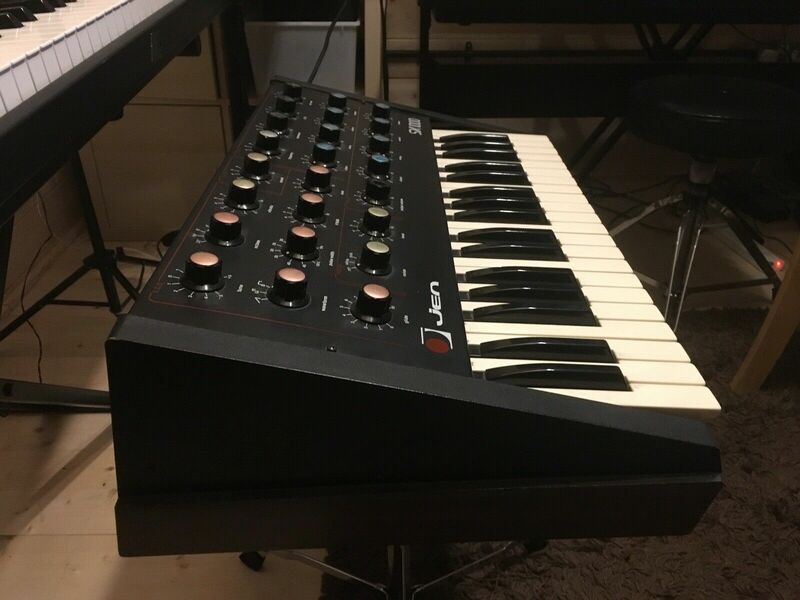 Demonstration with Korg Arp Odyssey desktop module reissue synth." 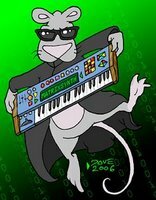 "Synthplex is happening in Burbank California March 28th-31st 2019. 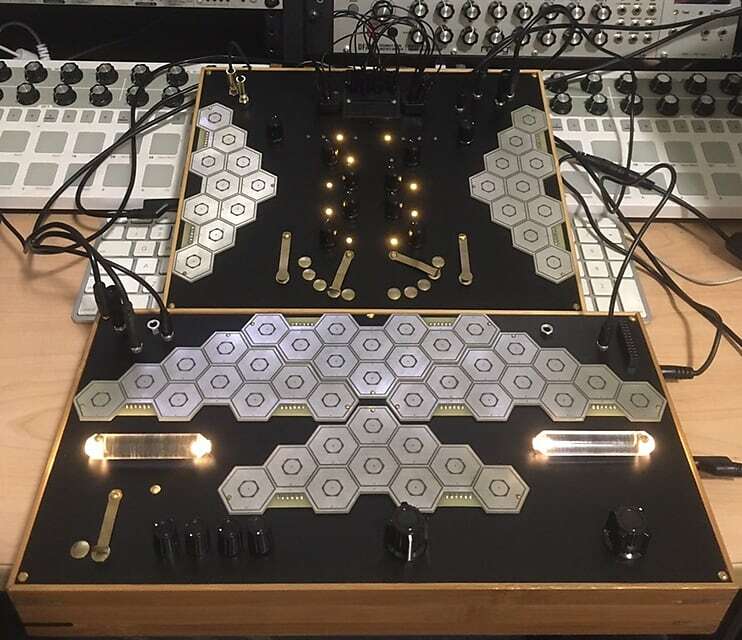 We are going to have a booth there where you can play with this eurorack drum system as well as other synths and gear. There will be lots of eurorack and other manufactuers there with booths as well as performances and workshops. Follow our Instagram @perfect_circuit for a chance to win free tickets. This system uses the Doepfer A-157 as the core sequencer with a Pittsburgh Lifeforms sequencer for CV sequencing. There are two drum/synth voices from Noise Engineering, the Basimilus Iteritas Alter and Manis Iteritas. The rest of the system is built around synthesis with two noise generators, SSF Quantum Rainbow 2 and Hexinverter VCNO. For oscillators there are two Make Noise STOs and a Sinc Iter. 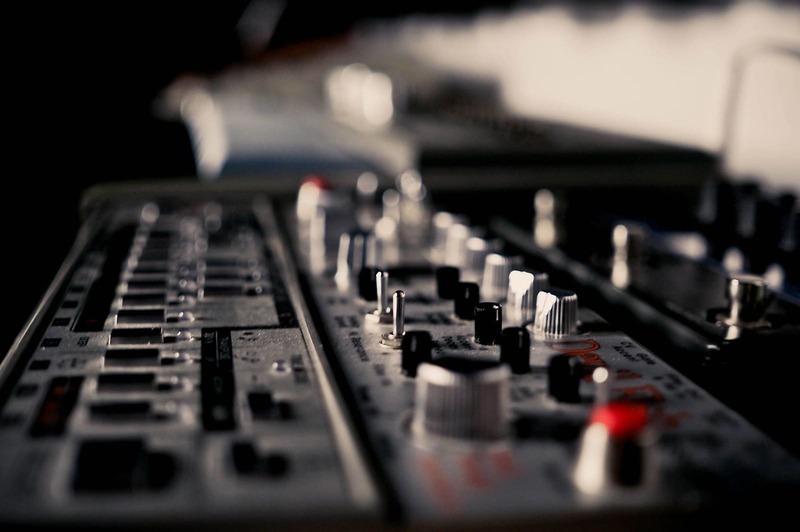 Filtering comes from an AJH Mini-Moog style ladder filter and Intellijel MS-20 style Morgasmatron. There are six envelopes from Maths and Quadra and a discrete transistor VCA/mixer made by combining multiple XAOC Tallins with a unity mixer. There is also a WMD/SSF DPLR delay effect." 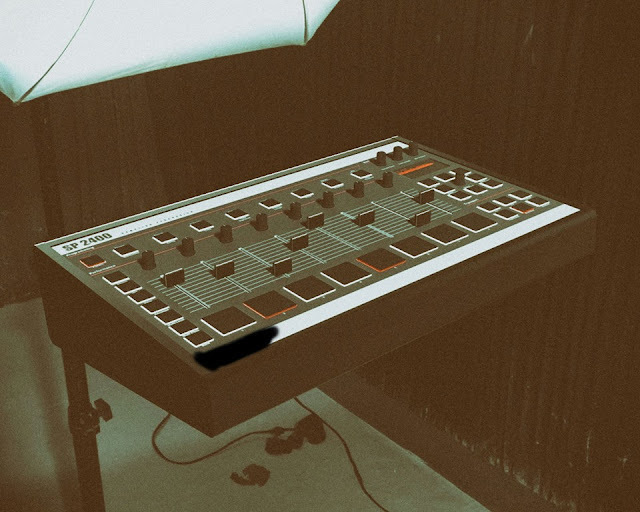 "The OP-1 from teenage engineering is being used to combine an airy radio sample with programmed drums and the dr wave synth engine. Later the master channel is heavily processed with CWO effect as well as the 3-band master EQ. This little machine rarely stops surprising me. I can't believe that the re-release is happening at a higher price than when it originally came out." 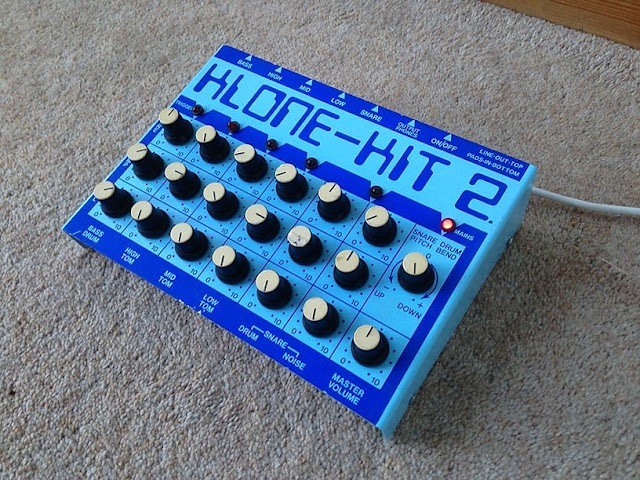 You can find a few others via the Klone label here. "TWISTED ELECTRONES HAPINES is a multitrack chip tune synthesizer that is inspired by the RP2A07 sound chip found from NES games console." Tutorials 4 - 6 have been added to this post. "This rig is a one time only rig for a live show with Obrero. Just for the fun of it. Ensoniq Mirage, Ensoniq ESQ-1, Eventide H9, Lounsberry Organgrinder, Neo Instruments Ventilator II." I spent most of my time tonight crafting this stonking great big pad sound on the Yamaha Cs2x and almost didn't know what to do with it. It ended up turning out nothing like what I was planning when I went in the studio but never mind. So lots of Cs2x synth pad action and it XG (extended general midi) Koto sound which I think sound quite nice in the mix. Apologies for the slightly blurry crossfades, I managed to knock the camera between tracks." New from supporting member, Levitated. "Modern experimental music from “a dark plot of land". Irrational Agent: Ghost Events was recorded live on 2-25-2019 using a modular synthesizer focusing on 3 granular samplers controlled by random modules and chance events. The Irrational Agent operates a system of circumstances in which the belief and will of the performer/machine/spirit world determine the probability of the results or “ghost events”. The Irrational Agent works within degrees of belief that certain outcomes are predestined to emerge. Please consider supporting this channel by purchasing a sample pack or music download from www.outsidersounddesign.com"
"Maybe you are interested to hear how two #ToraizAS1 would fit together in a track, both being sequenced. On the Toraiz that plays bass, I run a 120BPM sequence. On the other one, a #sequence is playing at 60BPM. No connectivity between them, both are manually synced (and this can be heard a little bit later where they become little out of sync)(and this also shows that at different tempos (even I used a ratio of the tempo), two different Toraiz are...different!). BTW: both Toraiz are siblings, having consecutive serial numbers: my friend bought it first, last year, mine I bought it a few days ago! Effects: Boss DD7, Boss RV-6, Neunaber Slate (a little reverb for the bass line)." New close-up pics of the modules have been added to this post. 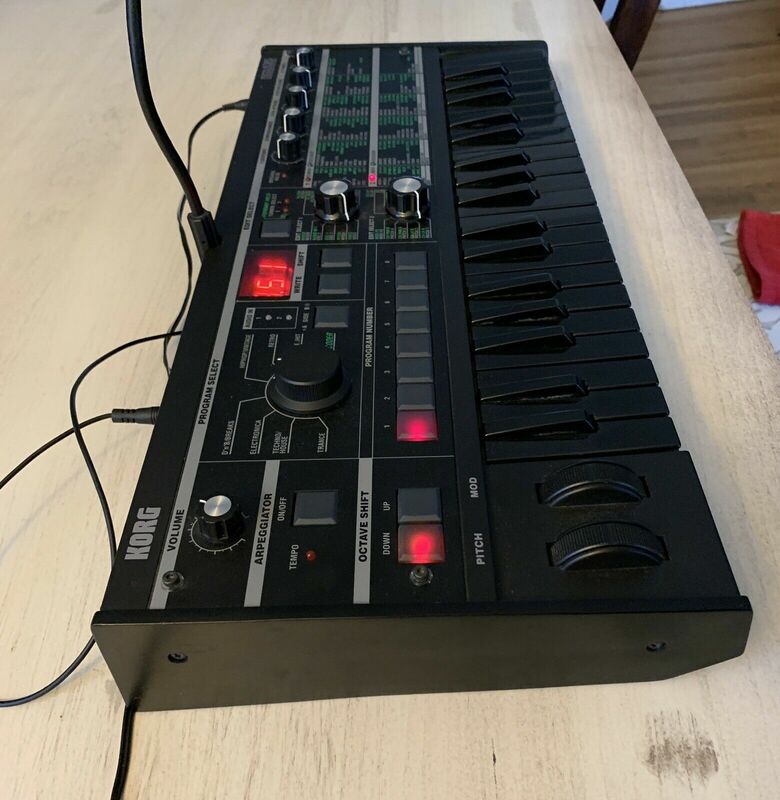 "Korg MicroKORG Synthesizer Vocoder Limited Edition BLACK! This super rare synth comes in black on black, works perfectly and is in fantastic condition. included is everything shown! 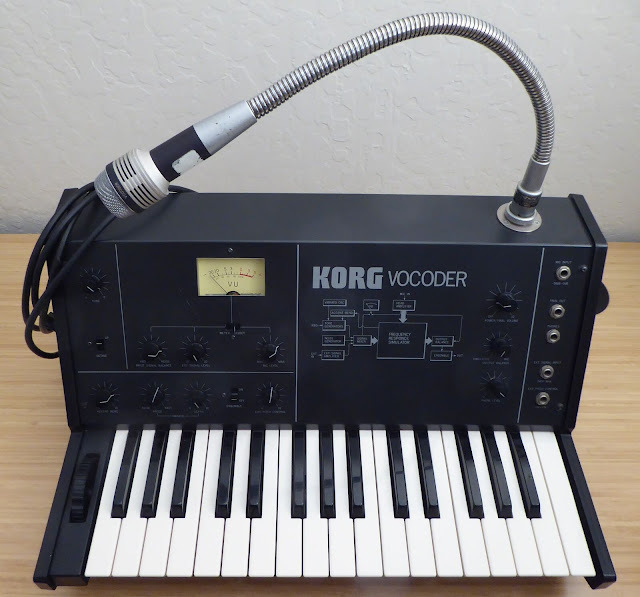 vocoder mic, power supply and if course this awesome looking keyboard." Even the buttons are black. "CLONE OF A 1980'S ANALOG DRUM SYNTH CALLED A SYNTOM, OTHERS IN THE SERIES INCLUDE SYNCHIME, SYNWAVE AND SYNBAL. THIS CLONE ALSO HAS A CV INPUT WHICH IS NOT ON THE ORIGINAL SYNTOM. THE UNIT A HAS TRIGGER IN, DECAY,SWEEP,PITCH, LEVEL OUT AND CV IN"
You can find a demo previously posted here. 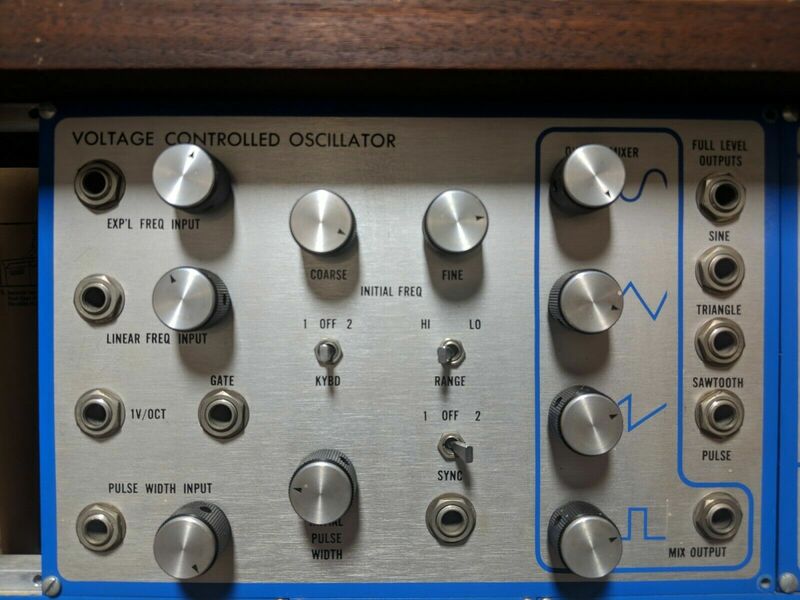 "110/ VCO single oscillator (with VCA and VCF sections)"
"Studio Electronics Se-1x 3 osc analog rackmount synthesizer."